After the holidays, I felt the need to hit the restart button when it came to foods that I was eating. Between Thanksgiving and New Years, I ate too many heavy foods during social gatherings. I ate too much sugar and I definitely did not have enough activity. It was cold and I promised myself that I would get back to my fitness routine when the new year starts. I have been making a lot of effort to serve salad for dinner every night. The salad is helping us make a fresh start in eating right again and starting over. Here are some of the salads that we have been enjoying. I rotate them and try to match the dish I’m making for dinner. I serve them on a huge shallow bowls that we got from IKEA. 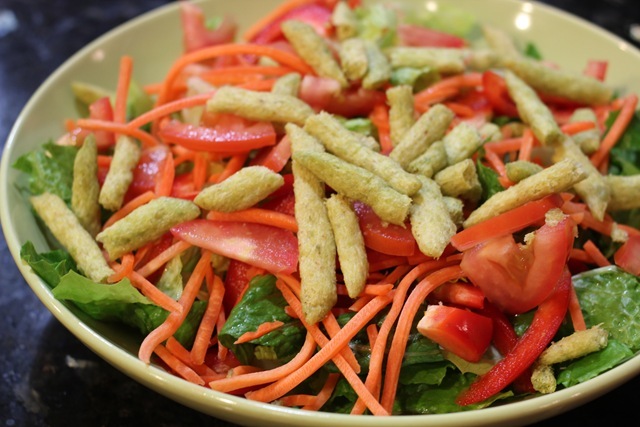 – Romaine lettuce, tomatoes, red bell peppers, shredded carrots and bake peas from Trader Joe’s. This is the salad I make for the hubby and he will eat it with his dinner entree (usually served with steamed/grilled veggies). This is his current favorite salad dressing. I got it at Target. A little goes a long way and it adds a lot of flavor. 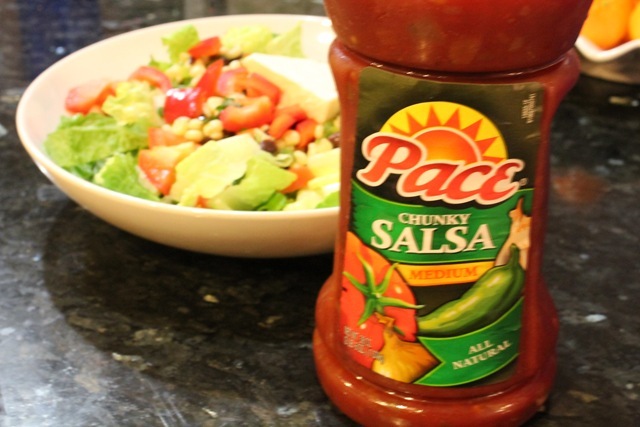 I used salsa as the dressing to complete the salad. Once you tossed all the ingredients, the cheese coats all the vegetables and it becomes creamy. – I’m currently on a Greek salad kick. I can eat this salad every night and pack extras for lunch too. I love it and it taste so fresh. I chop all the ingredients on the weekends so I can just easily assemble everything. 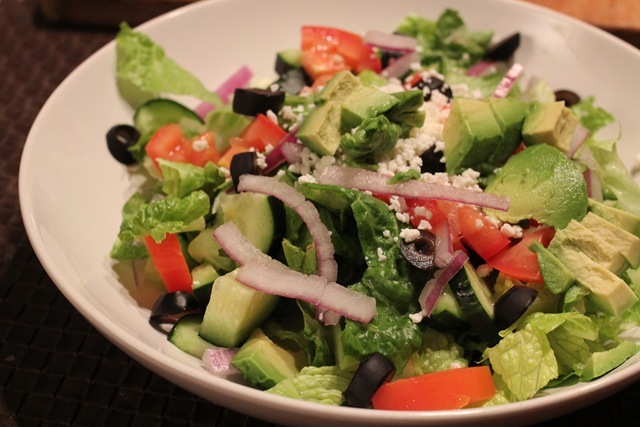 Romaine lettuce, black olives, cucumber, tomatoes, red onions, feta cheese crumbles and avocado. I sometimes add chopped chicken if the salad is my main meal. 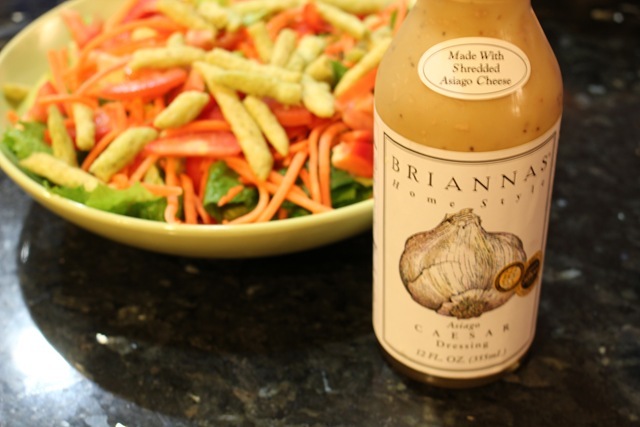 I dressed this salad with light Italian dressing or Brianna’s caesar dressing. – Here’s a salad I’ve been enjoying at work. 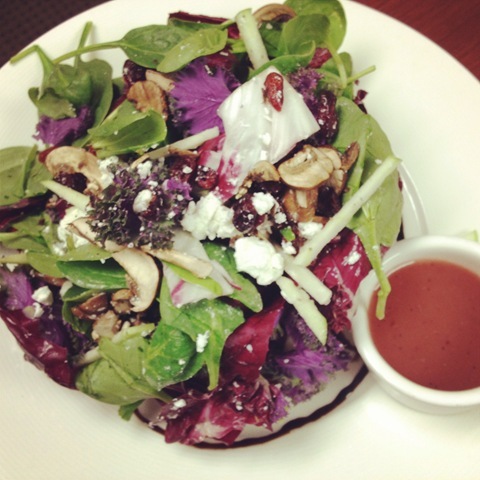 Spinach, purple kale, radicchio, shredded apple, mushrooms and feta cheese. I asked to have the raspberry vinaigrette on the side. 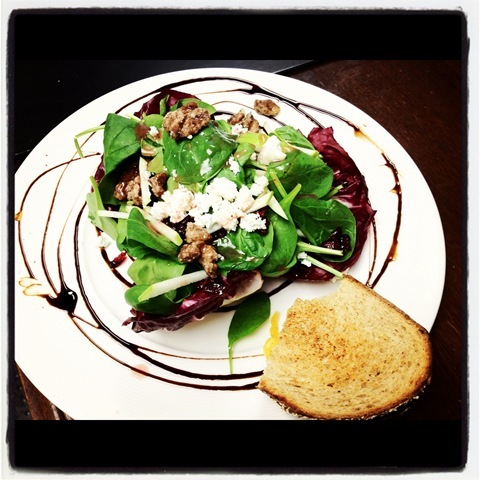 Similar salad but with candied walnuts and served with whole wheat grilled cheese. 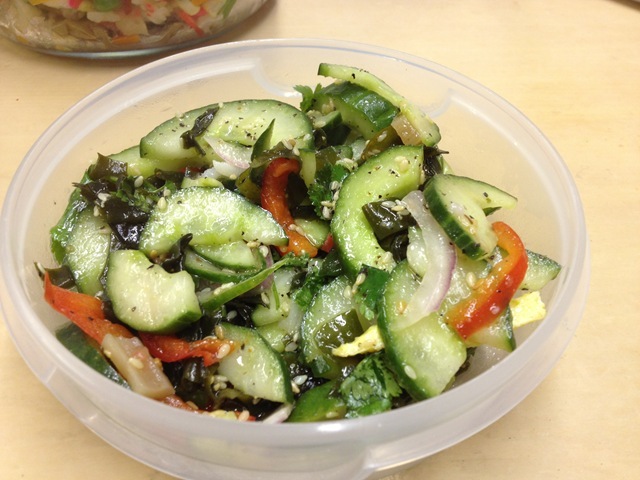 – I also enjoyed this cucumber salad during the first week of January, we had a ton of leftovers from the New Year’s party. Do you have a favorite salad combination? These look wonderful! 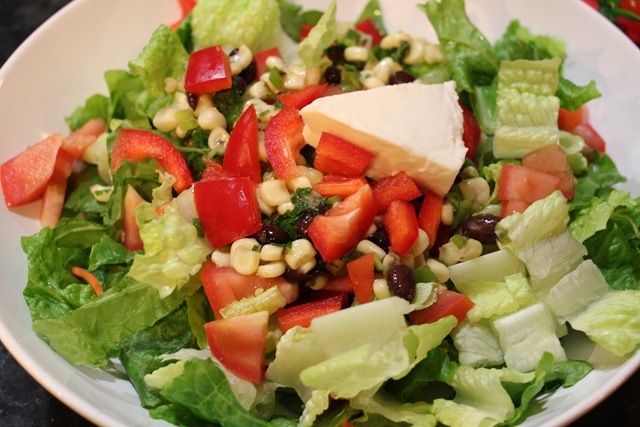 I’m a big fan of Greek salads (although i’m missing feta right now) and Caesar has been the one i’ve craved the most during this pregnancy, and I have to be careful with that dressing – eek!